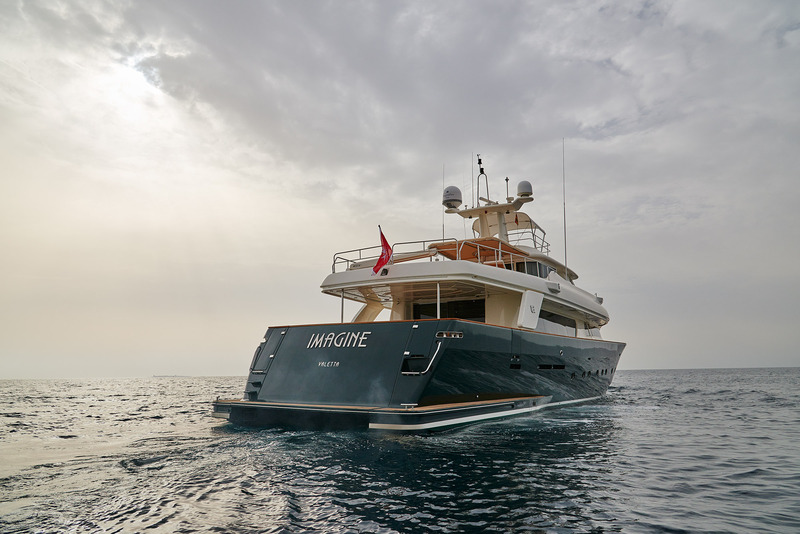 Luxury motor yacht IMAGINE was built by Custom Line Spa of the Ferretti Group, launched in 2002 and last refitted in 2018. 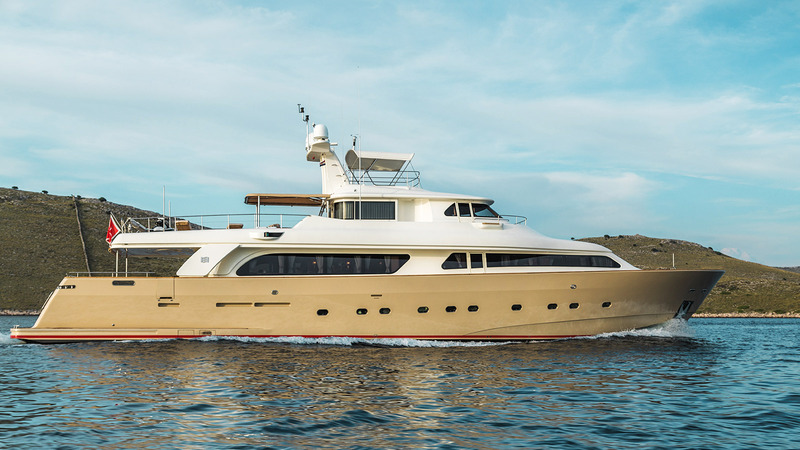 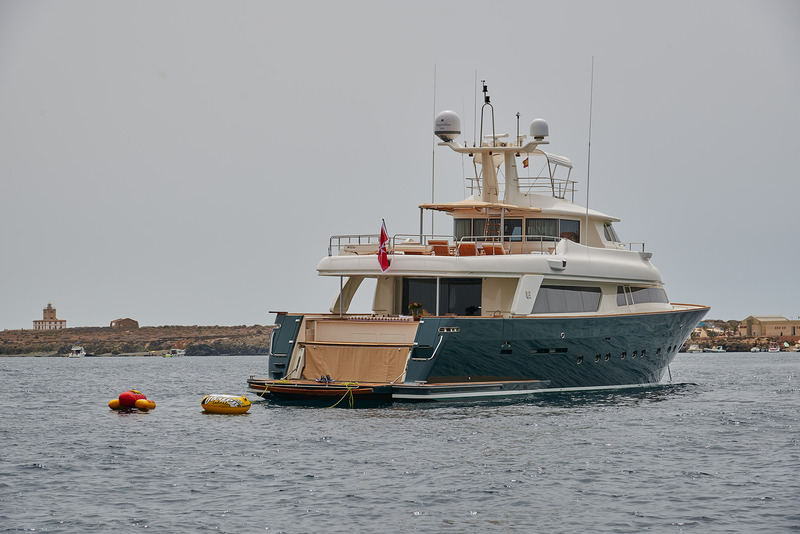 Her hull measures 30.95m (101' 7") and she offers accommodation in 5 spacious cabins, for up to 12 charter guests. 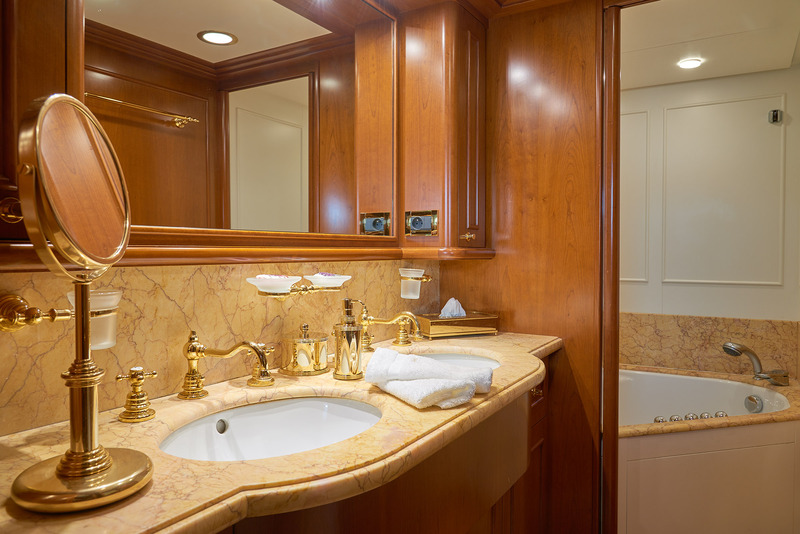 The interior décor is contemporary and elegant. 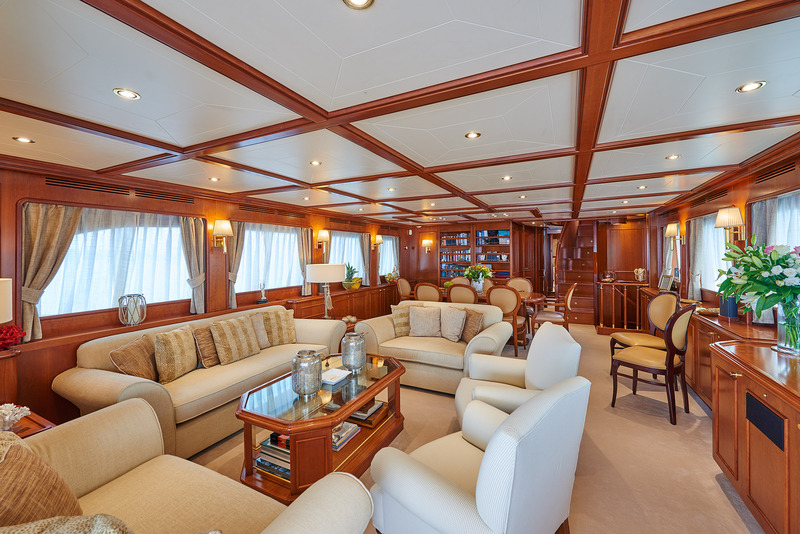 In the salon, a comfortable lounge with ample plush seating, coffee table and entertainment is aft. 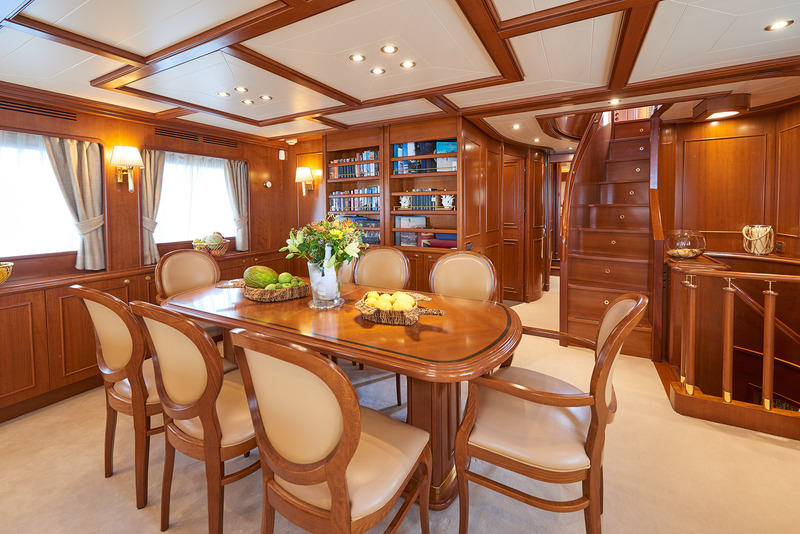 Forward in an open plan, is the formal dining area. 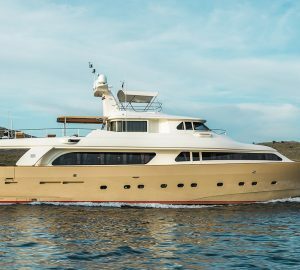 Warm woods and neutral furnishings create a welcoming and serene ambience, while plenty of large windows ensure optimal natural light. 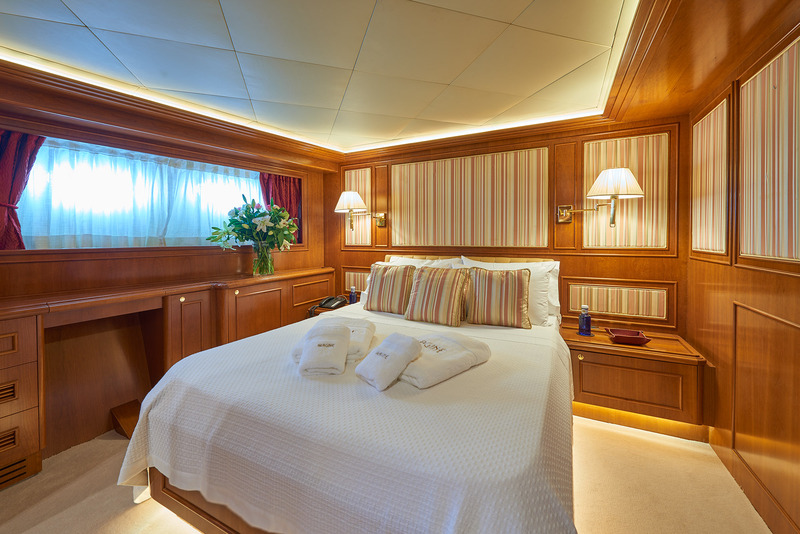 On the main deck forward of the salon is a full beam master cabin. 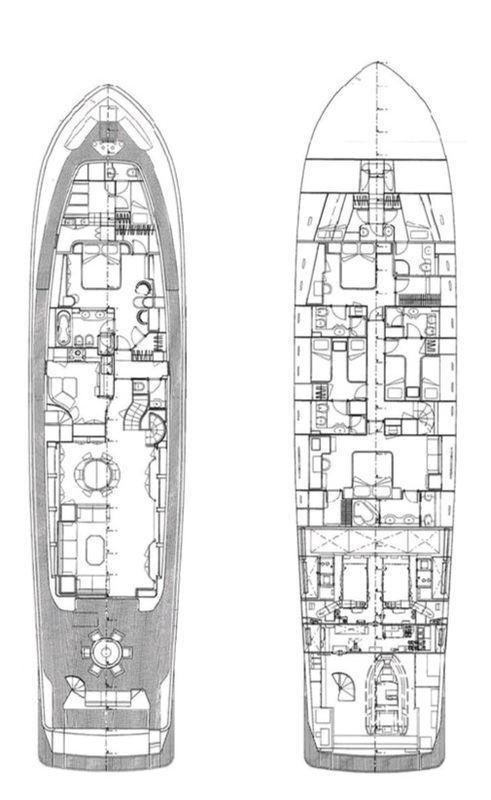 A stairwell to starboard leads from the salon to the lower deck and 2 VIP cabins, and 2 twin cabins. 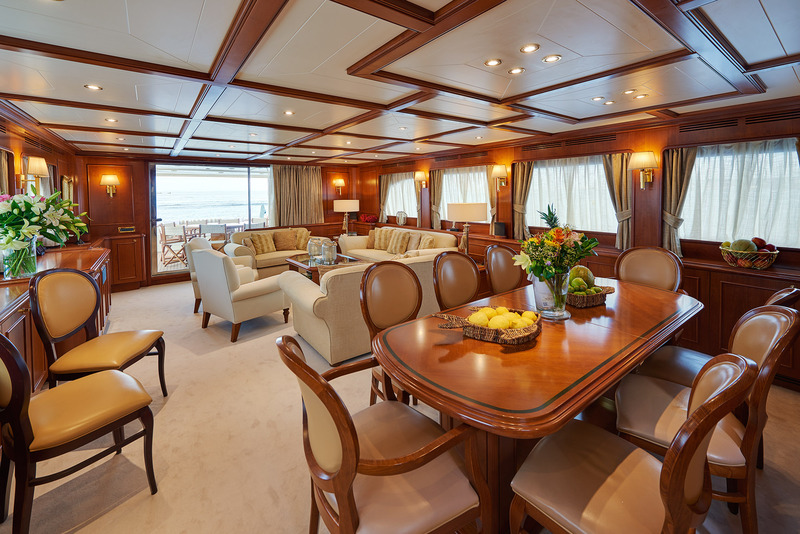 The upper bridge deck is spacious and has seating for guests wishing to watch the captain in action. 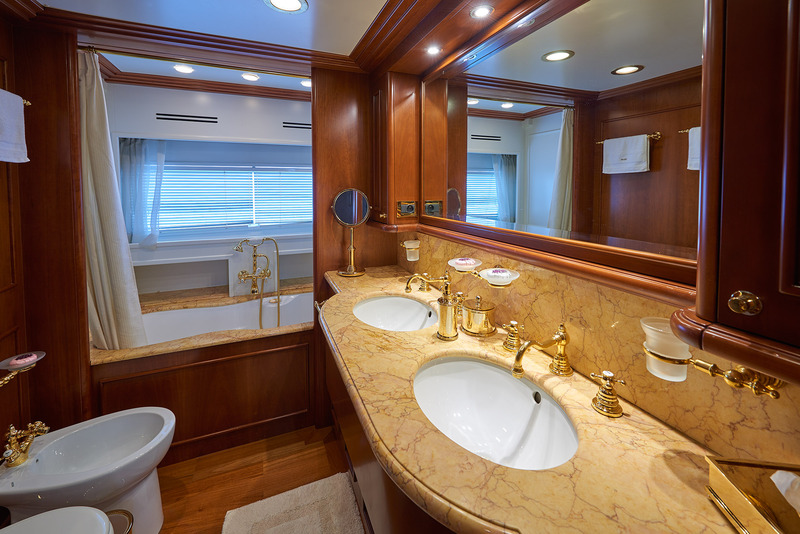 The yachts exterior living is well-appointed and generous. 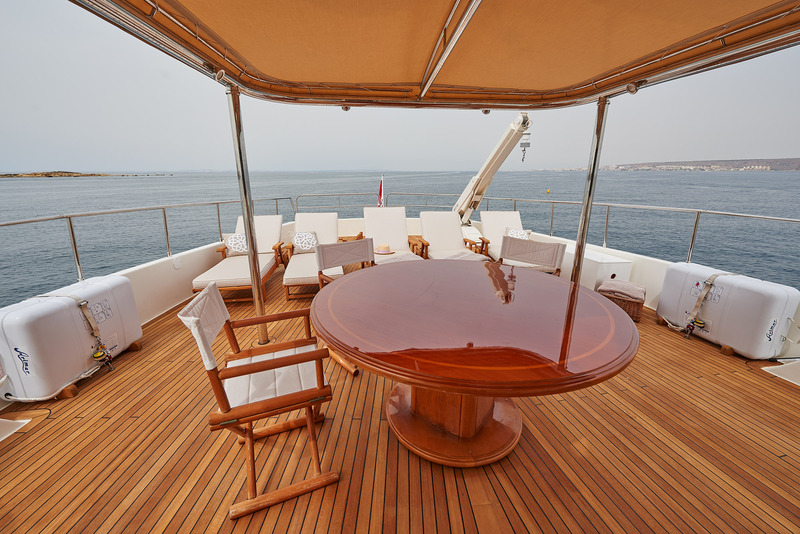 The aft deck is partially shaded and has an alfresco dining table and direct access to the salon, ideal for socializing. 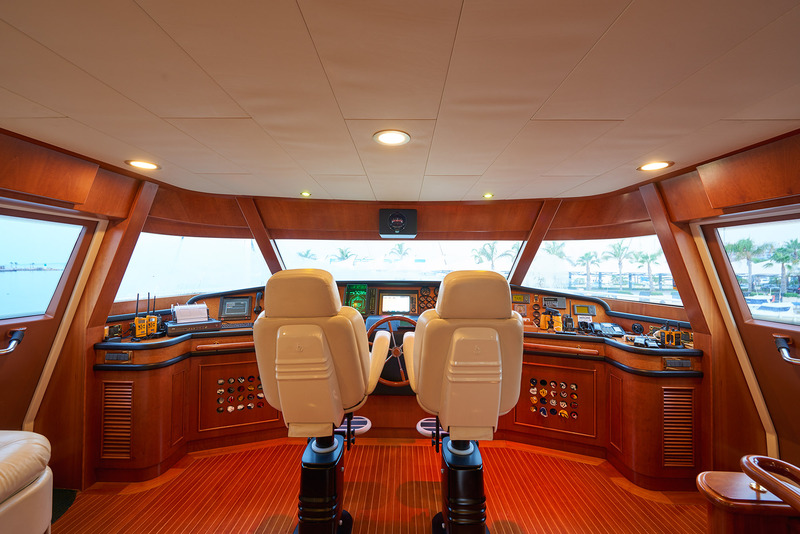 Thanks to an opening transom, the swim platform is large and boasts a water toys garage. 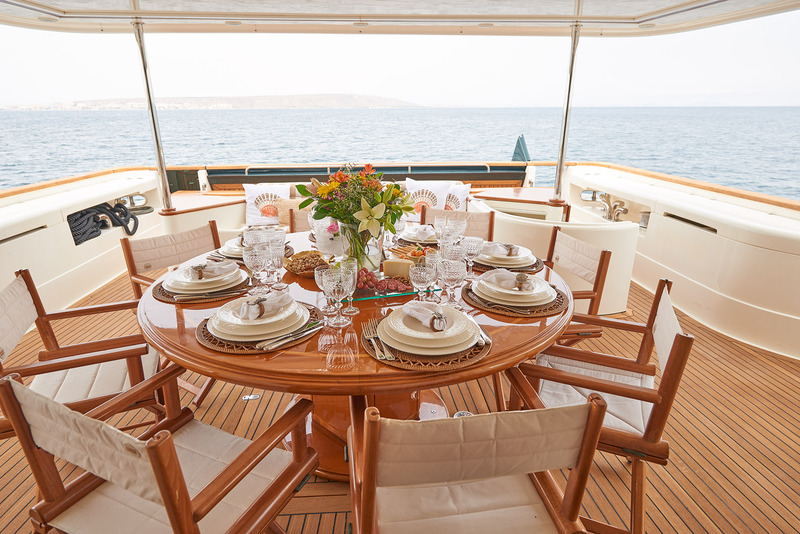 On the upper deck adjacent to the pilothouse, is the sundeck and further alfresco dining option. 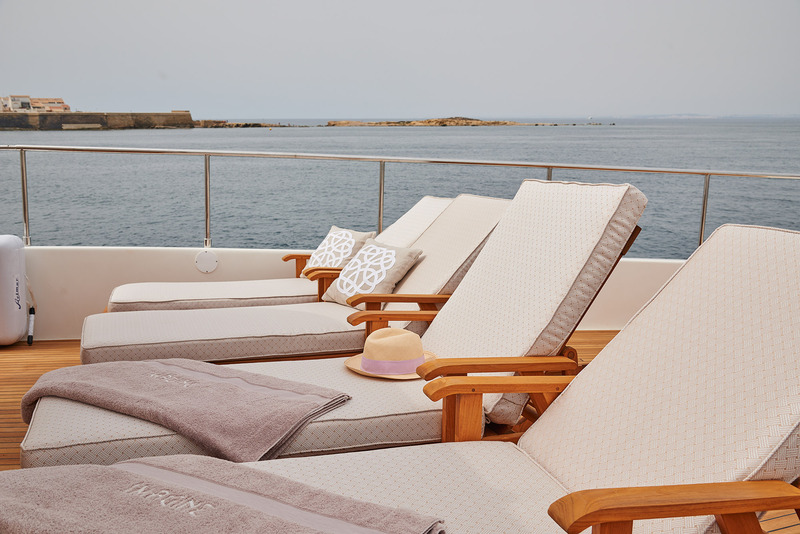 A fitted Bimini provides additional shade. 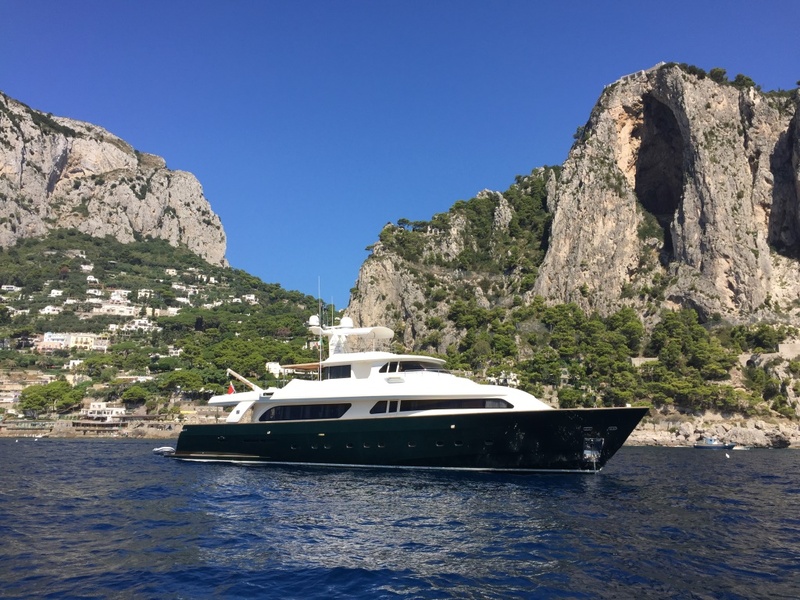 The Ferretti IMAGINE’s jade green hull is powered by 2 x MAN 1300hp engines offering cruising speeds of 13 knots and top speeds of 18 knots. 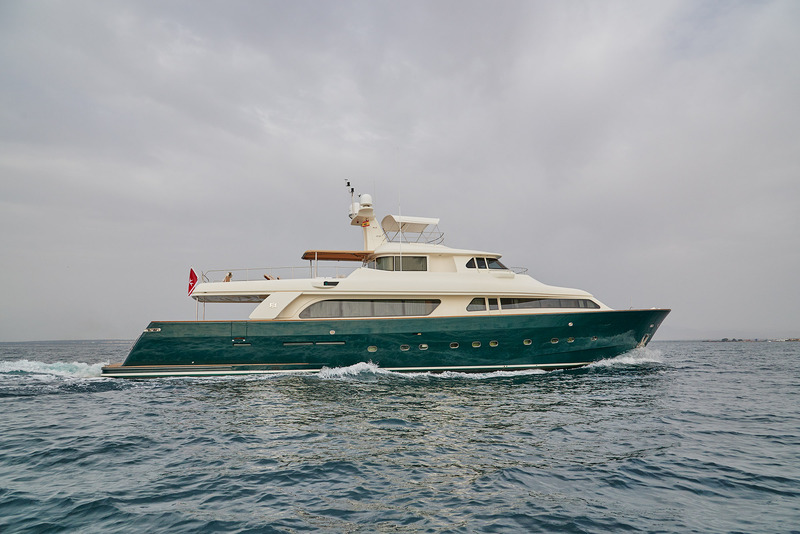 She is fitted with state of the art TRAC stabilizers to maximize comfort and relaxation. 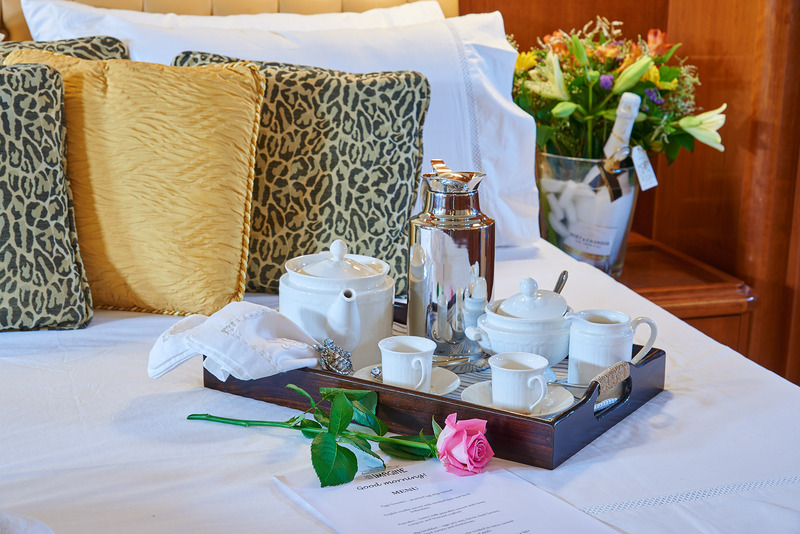 Accommodation is in 5 guest cabins, each with private en-suite facilities. 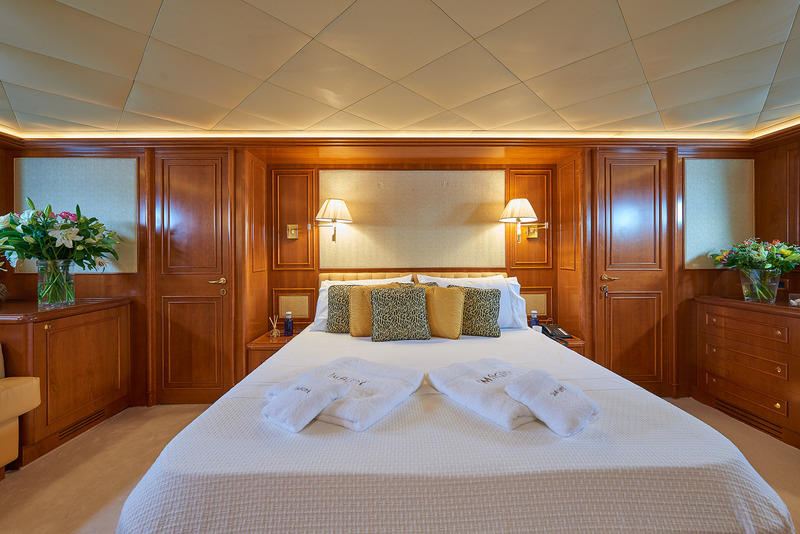 The master suite is on the upper deck forward and full beam of the yacht, with a center lined queen size bed and vanity. 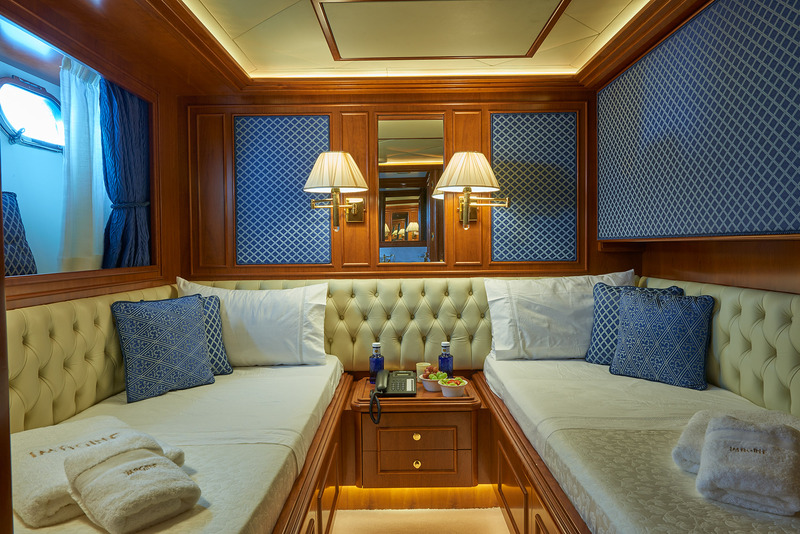 On the lower deck forward is a full beam VIP cabin, while to port and starboard are two twin cabins, with side by side single beds and a Pullman berth each. 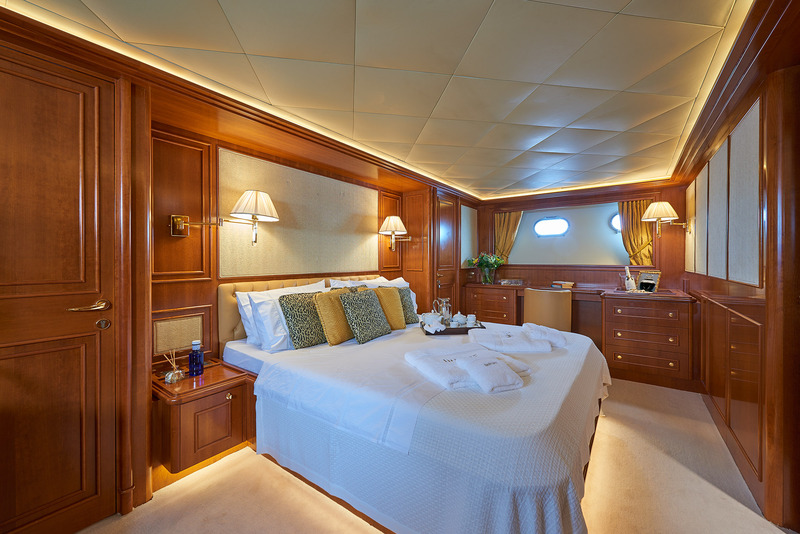 The second VIP cabin is on the lower deck amidships, with a full beam layout and queen size bed. 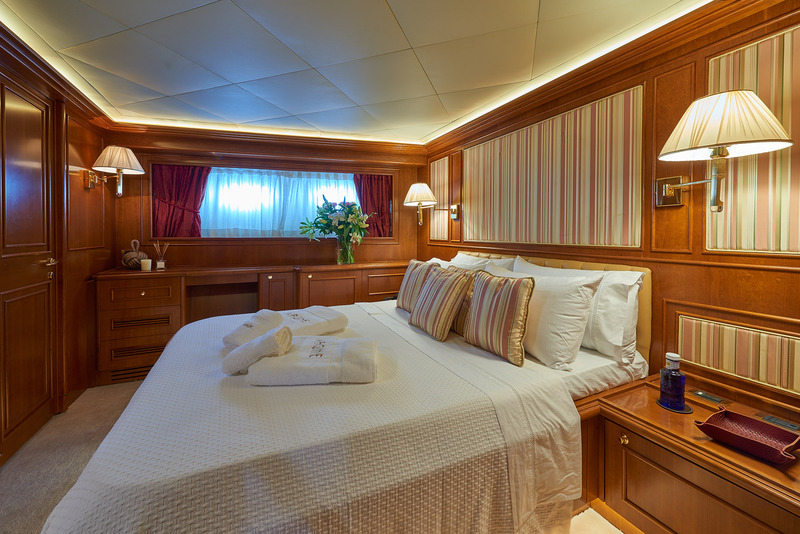 All guest cabins offer audio and visual entertainment.